This is a review of the ProSnore 2 Custom Fitted Anti Snoring Device. In this review article I will start by discussing briefly about snoring and its treatments, then, how the ProSnore 2 mouthpiece works and its process. I will continue by looking into the product features, the positive and negative comments by the buyers of ProSnore 2 Anti Snoring mouth piece and I will conclude with my final verdict and conclusions. One of the most common sleep disorders which people suffer from is snoring. Snoring is simply the vibrations produced when air meets any obstructions in the air passageways as it enters through the nose or mouth. These vibrations or snores, while not harmful, will prevent anyone sleeping with you (or in the same house) from getting a goodnight of sleep. Great treatment options for snoring are the snoring mouthpieces or mouth guards i.e. dental appliances which will keep the soft muscles in your jaw and throat from collapsing when you sleep (cause of snoring). 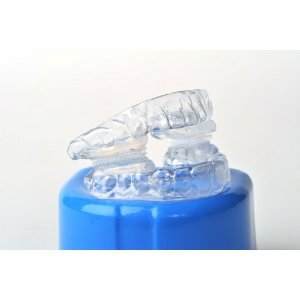 The ProSnore Anti Snoring Device falls under this category of dental appliances for snoring. It will prevent any obstruction in your air passageway and thus prevent snoring. What is the ProSnore II Anti Snoring Device ? This device as is suggested in the name itself is an anti snoring device custom made for every single person who places an order. It is an appliance which when placed inside your mouth, will move your jaw to allow for optimum and smooth flow of air. Thus it is one of the best anti snoring remedies for your loved ones currently available in the market. How does the ProSnore II Anti Snoring Device Work? This device is custom fabricated based on your dental impressions. It works to keep the airway open by moving the lower jaw forward, by tightening the loose tissue in the back of your tongue. Thus you will be able to breathe freely without any obstructions and this can lead to a reduction or complete elimination of snoring. Sleep Apnea: Sleep apnea is a dangerous condition where you will stop breathing many times in the night. While there are many causes for this condition, one of the major causes is obstruction of the airway at the throat level. 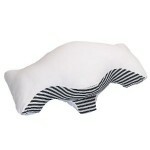 The ProSnore II will effectively remove this obstruction thus curing your sleep apnea. When I researched this product on forums, I found that most people who have tried it have loved it. The only thing people hated was the initial large investment. But they also accepted that over the long term it was a great investment. Since this device is sturdy and well made, it will last for a year or two. Thus once purchase, you will not require any other anti snoring device for a year minimum. From my research I have found this to be a great anti snoring device. It is custom fitted for every person, so it is guaranteed to work for everyone. Additionally when compared to the other option for buying such a dental device (a dentist will charge around 1500-2500$ for a custom fit) it is a cheaper option. Lastly the manufacturer has gotten great reviews from people who have purchased this device. So I can recommend this device for everyone who is looking for an anti snoring device. Therefore according to me, it would be best to invest a little money to save your loved ones from your snoring to give them some sleep relief. I hope my review of the ProSnore Anti-Snoring device was helpful to you. Feel free to visit Amazon and the manufacturer’s website to find out more. I bought an oral appliance from you back in June, 2014. The Velcro strips on the appliance have gotten old and do not stick anymore. Can you please send me two new Velcro strips so I can put them on? Is it possible for me to do that or do I have to ship it to you? Hi Curt, as you can see the title of this article is a REVIEW. We do not sell products anywhere on this website and we have certainly not received any money from you as this is an information website. I suggest you to check who did you purchase the product from and contact their customer support to deal with your question. How do I order one of these kits to start the process of purchase? And how much does this appliance cost? I think it used to be on Amazon but it was sold out or finished, so not sure where to get one now.